Peter accelerates brands and businesses. He is responsible for INDOCHINO's omnichannel sales and revenue performance, and has played a critical role in driving growth to over 50% year-over-year from 2015 to 2017 through his dedicated and passionate leadership. In his capacity as CRO, Peter enables the company to take a true multichannel view to the planning, execution and management of its growth. 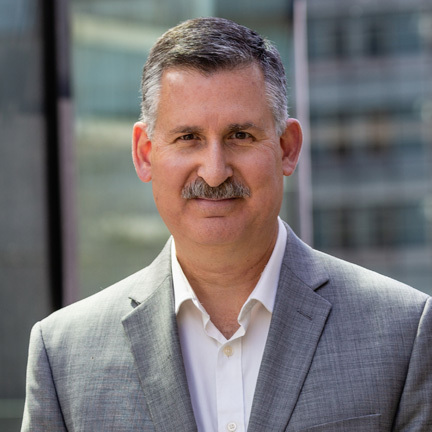 Peter is a senior executive with President, CEO and CMO experience including retail, fashion, hospitality, digital pure play and consumer goods industries. 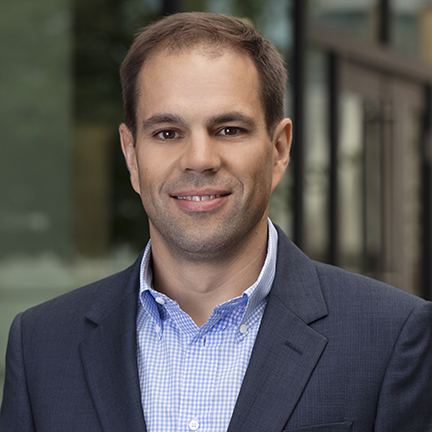 He served as Chief Executive Officer and Director at Lavalife Inc. from 2000-2003, and returned as President from 2010-2011 to lead a subsequent M&A transition. He also served as President of Milestones Restaurants, prior to which he held retail executive positions at HBC and Eaton's. As Chief Financial Officer, Morgan is responsible for leading the financial operations and strategy at INDOCHINO. Joining after an eight-year tenure at Lululemon Athletica, Morgan has broad experience in a fast paced, omni-channel retail environment. She most recently led the finance team responsible for new market entry, as well as the ongoing financial compliance related to Lululemon’s global expansion efforts. Responsibilities in this role included driving financial strategy around corporate structure, accountability for reporting, analyzing and communicating the financial results and key performance indicators of the company's subsidiaries to key stakeholders including local directors and corporate senior management, and ensuring compliance aspects were met including external reporting, financial audits, corporate tax compliance and other governance activities. In this, and other roles, Morgan has partnered closely with IT teams to develop, implement and manage systems that support the financial reporting and analysis needs of the company. Prior to Lululemon, Morgan worked for Ernst and Young LLP focusing on SEC registered clients in the Technology and Communications sector. 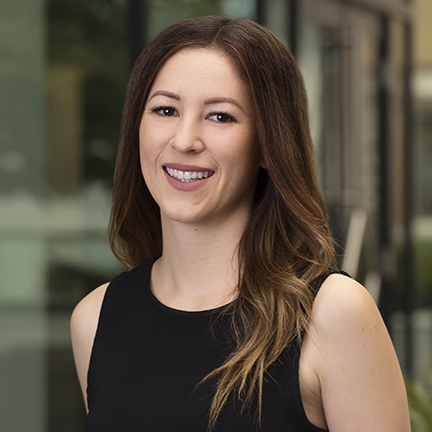 Morgan is a Chartered Professional Accountant (CPA, CA) and received her Bachelor of Science, Mathematics from the University of British Columbia. Alex Buhler is a leading IT Executive with more than 20 years of experience in data driven, fast paced environments. Prior to INDOCHINO, he was the Chief Technology Officer of Clearly, formerly clearly contacts, where he implemented business driven processes and system enhancements that improved customer experience, web sales and performance. From 2011 to 2017 Alex was the Chief Information Officer at Mountain Equipment Co-op where he established the enterprise-wide IT strategy to enhance member experience, increase sales and facilitate growth. While at MEC, he implemented a full relaunch of its ecommerce site, created a #1 rated iPhone app, and led the team to improve the omni-channel experience and be recognized with Canada Post’s e-commerce innovation award for Best Multi-channel retailer – Large in 2012. 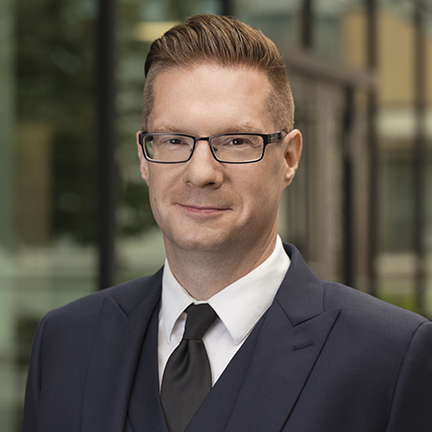 Alex has been on the Board of Directors of the CIO Association of Canada Vancouver chapter for thirteen years, four as President. This group focuses on mentoring and developing current and future senior IT leaders. He also serves on the Governing Body of Gartner’s Evanta BC CIO Executive summit. He has presented and/or moderated executive boardrooms on many occasions. As Vice President of Design – Product & Store Development, Dean advances INDOCHINO's custom menswear lines and exceptional showroom experience. His 25 years in international apparel include pivotal roles with Club Monaco, Esprit and Bata Shoes where he sharpened his expertise in visual direction, retail marketing, product design and retail operations. Dean is responsible for the overall vision, look and feel of INDOCHINO's product and retail business. He sets INDOCHINO on the path to success by establishing the inspiration and design of our product lines and spearheading our real–estate and retail expansion strategies. Randy Binning is the Vice President of Retail Operations at INDOCHINO. Joining after a successful fifteen-year tenure with GUESS Inc., Randy has extensive experience in a fast-paced, dynamic, and global scale retail environment. 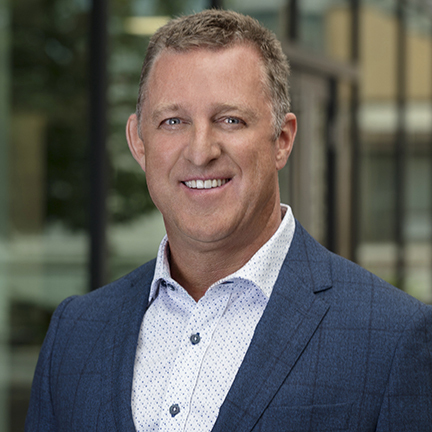 Randy has played an instrumental role at GUESS holding many key roles since the beginning of his career in 2002 before becoming the Director of West Coast North America and subsequently leading all of 76 plus Canada GUESS and Marciano stores in his final role as the Director of Stores. A firm believer in execution culture, Randy has a penchant for recruiting, developing, and retaining top talent. He is an accomplished executive who is visionary, passionate, resilient, and business driven. Randy has, and continues to possess, an unwavering ownership mentality with a strong understanding of operations excellence, profitability, and P&L management. 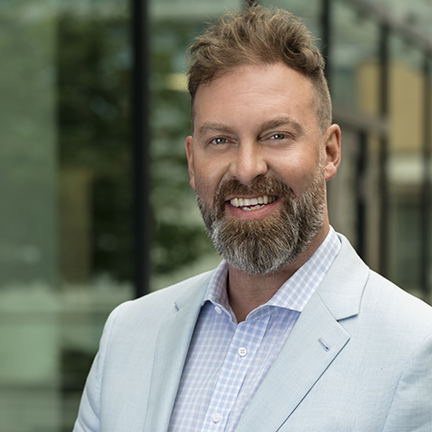 With his new role at INDOCHINO, Randy hopes to take his experience with GUESS Inc. as a platform to continue expanding INDOCHINO and set the retailer on global path beyond North America. Michael is a seasoned INDOCHINO executive with over 8 years experience in various marketing, ecomm, and operational roles. As VP of Omnichannel Strategy, Michael is charged with developing the Omnichannel experience of the future. 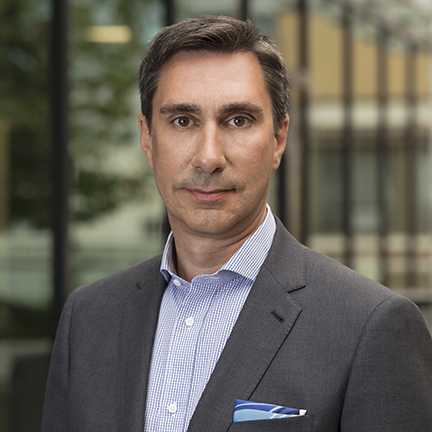 As the company doubles down on its omnichannel vision, he will work to ensure digital channels are optimized for maximum growth, with one view of the customer. Michael is an experienced business leader with over 15 years in eCommerce. Previously he worked in marketing and operations roles for Abebooks, an international online marketplace that was later acquired by Amazon.com, as well as leading marketing for Vivity Labs, a cognitive development company acquired by Rosetta Stone. 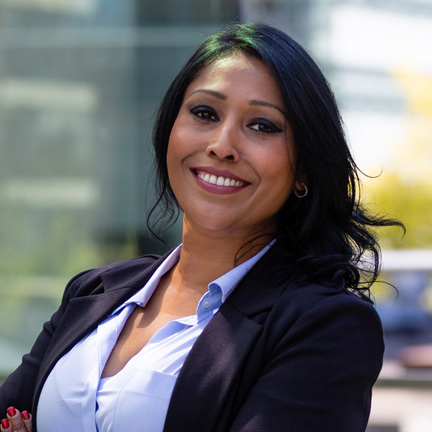 Vanessa Pillay is an accomplished and highly motivated global business professional with over 15 years of experience in the financial and technology sectors. She brings expertise in areas of troubleshooting, revenue expansion, strategic planning, business development and growth, marketing, financial stability and IT management. Vanessa has a proven track record of successfully motivating, leading and training cross-functional teams towards success. Her ability to influence, negotiate, resolve conflicts, establish credibility, trust and partnership at all levels of the organization comes from her believe in putting the team at the centre to drive change and create a dynamic environment. Prior to INDOCHINO, Vanessa led the finance team at Microsoft South Africa with previous executive experience at Standard Bank PBB South Africa and Sun Microsystems South Africa. Vanessa is a Chartered Accountant in South Africa and a Chartered Professional Accountant in Canada, achieving her Bachelor of Commerce (Honours) at the University of Natal, South Africa. As INDOCHINO’s Senior Director of Operations - Global Supply Chain & Customer Experience, Joseph is responsible for the end-to-end management of the company’s supply chain and also oversees the company’s customer experience team. Joseph has almost 20 years of apparel, operations and project management experience and is known for his strategic vision and commitment to developing a world-class team. Prior to INDOCHINO, Joseph was with Louis Vuitton Canada, where he assumed a broad operations role, guiding the growth of this established business with a long heritage of quality and service. Before joining Louis Vuitton Canada, Joseph led Development at Aritzia LP with its fleet of more than 60 stores, from 2009 to 2013 where he expanded Aritzia’s portfolio into the United States and helped set the stage for future flagship locations including their corporate support office. Notably, from 2008 to 2009, Joseph completed the complex delivery of the 2010 Winter Olympic and Paralympic Games in the capacity of Operations and Administration for the International Olympic Committee. 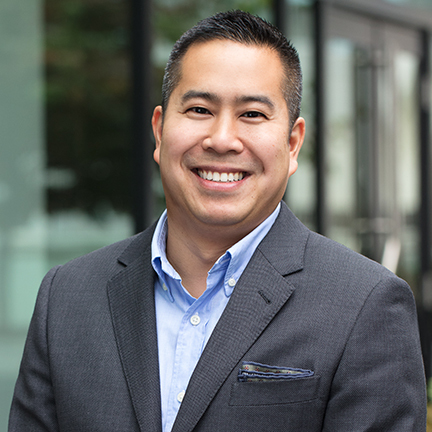 Joseph attended Simon Fraser University in Vancouver and is a Project Management Professional. As the Director of Corporate Sales & Partnerships, Aly oversees INDOCHINO’s newest addition to an already flourishing omni-channel strategy. The Corporate Partnership program enables small, medium and large organizations to take full advantage of made to measure suiting experiences. Prior to this, Aly led the growth and development of the Customer Experience team at INDOCHINO - supporting retail showrooms across North America and customers from around the world. 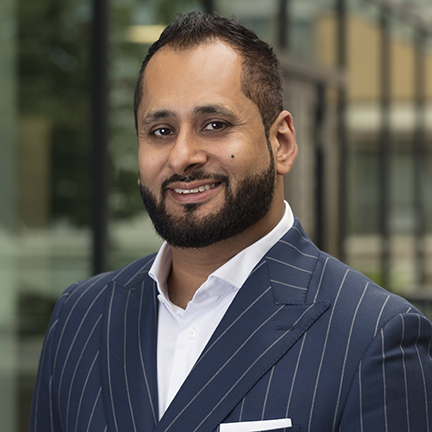 With a passion for people leadership and a customer centric vision, Aly has held several key roles over the past decade transforming sales and service cultures at leading Canadian companies such as RBC Royal Bank, Shaw Communications and now INDOCHINO - in both Toronto and Vancouver. 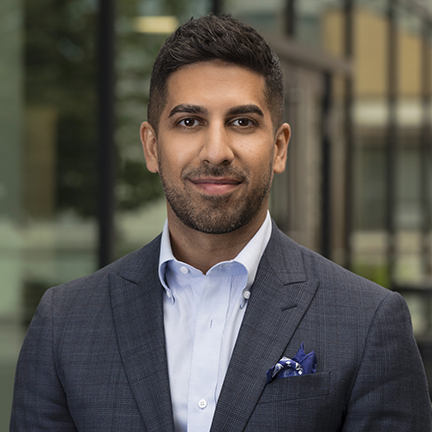 Prior to joining INDOCHINO, Aly led the largest contact centre and highest revenue generating sales channel at Shaw Communications - implementing extensive culture and performance driven initiatives geared specifically towards increasing sales efficiency and employee engagement - while maintaining industry leading Customer Satisfaction metrics. As Director of Technology, Zach is responsible for leading the architectural design, management and execution of existing and new technology platforms for INDOCHINO. Zach brings over 15 years of development experience spanning multiple industries including apparel, retail, and technology. Zach has led the design and implementation of enterprise level applications and databases, architected enterprise-scale communications between multiple external services, and overseen numerous UI developments. As Director of Technology, Zach is responsible for devising new and creative omni-channel technologies that will keep INDOCHINO ahead of the curve, and ensuring our applications are delivering a world class experience to our customers. Lisa is responsible for leading INDOCHINO's marketing strategy with a focus on driving omnichannel customer growth. For the last two and half years, Lisa has been instrumental in executing and optimizing INDOCHINO’s marketing strategies and tactics across numerous platforms while shaping the content and messaging to engage prospects in all stages of the buyer cycle. 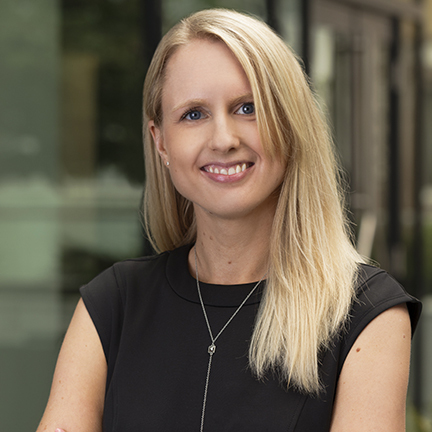 With over 8 years of experience in fast-paced, high-growth environments, she has also held roles executing digital growth agendas at leading companies such as Clearly and 6S Marketing. In her latest role, she will continue to focus on driving customer acquisition by managing the full-funnel paid media strategy, execution and optimization across a range of digital and offline marketing channels. Bryony supports INDOCHINO's online and retail channels in optimizing operations including budgeting and forecasting, planning and executing strategic initiatives and gaining/leveraging operational excellence . Bryony joined INDOCHINO in April 2017 as Director of Finance and seamlessly transitioned to Business Operations following demonstrated success providing financial analytics to the operations team. 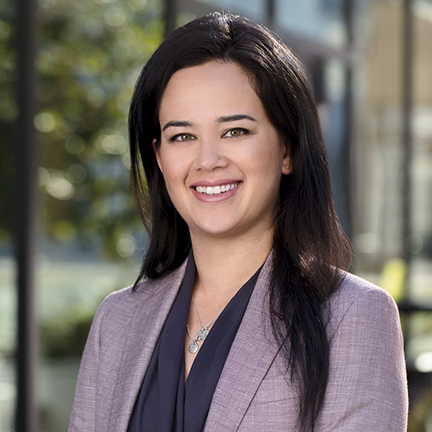 With over 12 years of experience in financial advisory, spending the past eight at PricewaterhouseCoopers LLP where she was a Vice President in its Vancouver based Deals group from 2015. She has worked with various clients across the retail and consumer products sector managing financial operations and implementing reporting analytics. Bryony is a Chartered Professional Accountant (CPA, CA) registered with both the Chartered Professional Accountants of British Columbia and the Institute of Chartered Accountants of Scotland, a Chartered Business Valuator (CBV) and has a Bachelor of Science in Mathematics, Operational Research, Statistics and Economics from the University of Warwick, England. Angela leads continuous improvements to INDOCHINO’s retail processes and delivery, spearheading training and systems initiatives to support the company’s commitment to providing a world-class customer experience across our showrooms and customer support channels. She has deep training and technology experience, consulting for startups and international conglomerates across a variety of B2C and B2B industries. Drawing upon her past experiences with organizations such as LEGO, Microsoft, Telus, and UPS, Angela oversees Indochino’s retail technology solutions, enterprise communication channels, and omni-channel customer experiences. With a strong background in change management, process improvement, and fair process practices, Angela has helped different enterprises roadmap and execute business and digital transformations agendas by fostering a culture of empowerment and innovation. Angela is passionate about giving back and has served in a number of volunteer roles including the Bringing Women Together board and as an IECBC mentor. Angela holds an MBA and Bachelor of Computer Science degree and is certified as a Project Management Professional and Microsoft Trainer.